It’s been more than 2 months since I went down to Bitmaker Labs for my interview, and finally I’m about to start the program. I’ve been working hard at my prep work – we need to be up to speed on the basics of HTML, CSS, Ruby, Git and GitHub before we start, so we can hit the ground running. I’ve already met 8 of my 39 classmates, at coffee shops and at the Labs to hear talks, and I’ll meet the rest on Monday. I can’t wait to write about my experience. Stay tuned! 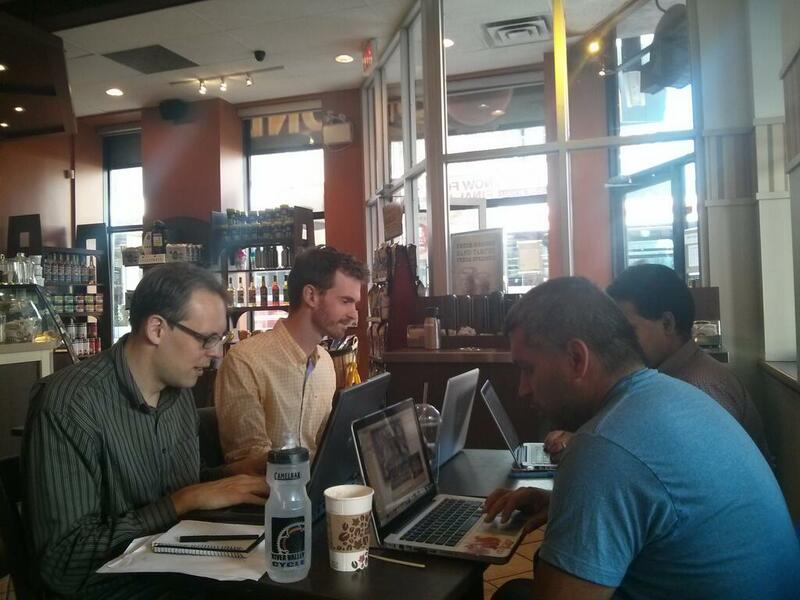 In the meantime, here’s a picture of me and my classmates working away at Second Cup.